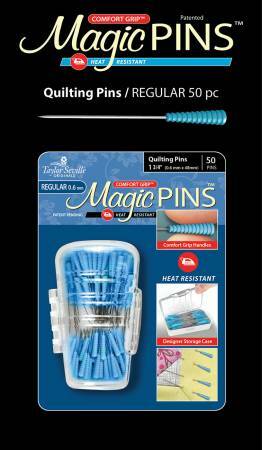 Revolutionary pins with heat resistant, comfort grip handles. 1 3/4" pins (0.6mm x 48mm). 50 count of pins in handy case.